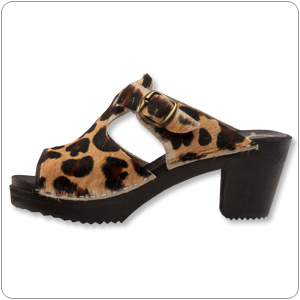 Find your inner cougar self, these are classy open toe sandal made from real leopard hair material. On a black painted bottoms with a 2 1/2 inch heel, with stapled construction. A leather binding in the front has been added to the construction of the upper material.